Nancy has her B.A. in Music, violin proficiency. She has taught private violin, viola and piano privately for 30+ years and has a wide range of experience in teaching different ages and skill levels. Nancy has been with Music and Arts as a private instructor since 2005. She has worked with over 425 students over the years and aims to help the student maximize their artistic and musical potential. Standard curriculum is used as well as other pieces to encourage the students’ preferences and abilities. 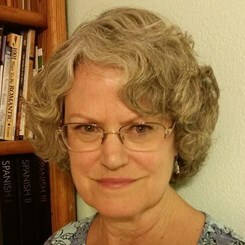 Request Lessons with Nancy Lynn Mumme today!